I just received my pencil. Consider me a VERY satisfied customer! I will be advertising your service to all of my colleagues and students. 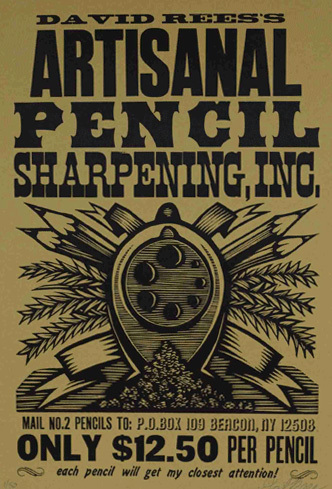 This is why I got into the artisanal pencil-sharpening business: to make people happy. 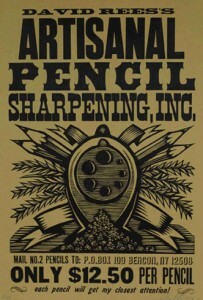 Paypal $40 to dr@mnftiu.cc; I’ll send you an extremely sharp pencil and a limited edition pencil-sharpening print!